VitroCAD is an engineering data management software that allows engineering companies to significantly improve their AEC and BIM data management practices, making life easier for both designers and engineers. VitroCAD software keeps in order CAD and BIM files, design data, manage documentation, track revisions and any complicated processes. Based on Microsoft SharePoint and Microsoft SQL Server, VitroCAD has helped Businesses and Government Agencies worldwide to save millions in connecting CAD & BIM activities and operations with Microsoft SharePoint as a platform of team collaboration and projects management; that lowers design and construction costs and increases efficiency of AEC and Manufacturing industries whilst maintaining a high level of security. Which VitroCAD product is perfect for you? Organise, manage and track CAD and BIM data in existing SharePoint company environment. 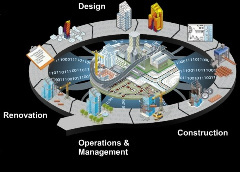 Complete engineering CAD and BIM data solution that integrates advanced functionality with business processes. Working with DWG drawings in SharePoint? VitroCAD manages DWG files including their XREFs. 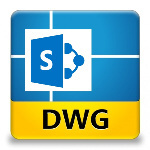 DWG files can be easily opened from SharePoint in CAD applications. Binding DWG files with XREFs in SharePoint? VitroCAD manages all links between DWG files and Xrefs. When a DWG file is opened, VitroCAD automatically opens the related XREFs. Tired of manual title block attributes filing? VitroCAD links the SharePoint metadata with the title block attributes in drawing automatically keeping them up-to-date. Vitro Software tools and components for Microsoft SharePoint are designed in order to make developer’s life easier and bring the power to your SharePoint site. We have the tools you need to save time and get perfect results. Click on the link below to read a more detailed description on a dedicated website, download a free version or trial. Connecting latest BIM standards with Microsoft SharePoint, VitroCAD supports all major 3D drawing software as Revit, Inventor, Civil 3D etc. 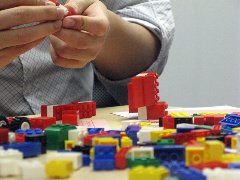 and significantly improve company’s data management practices, manage documentation and 3D development processes. Please contact us for more information through the form. Find answers or raise new requests for the support teams to contact you. Get more from VitroCAD with webcasts, events and webinars.